View our catering packages today. Have a look at our available sites. Soul Origin offers a wide range of delicious, wholesome breakfast, lunch and scrumptious salad options. Everything is made fresh daily in-store. 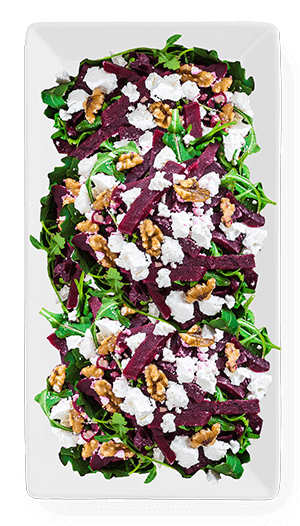 Beetroot & crumbled feta on a bed of rocket, garnished with walnuts. 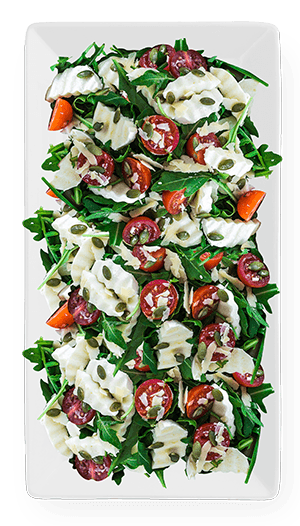 Bocconcini & cherry tomatoes on a bed of rocket, topped with pepitas & shaved parmesan. 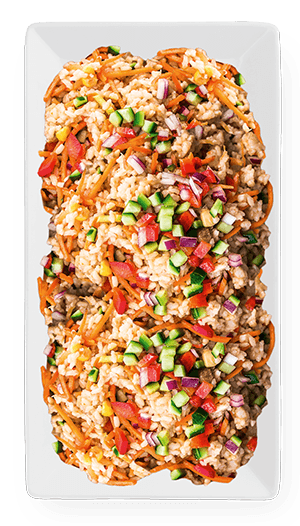 Brown rice, carrot, celery, corn & sultanas, topped with cucumber & fresh capsicum, mixed with sweet chilli. 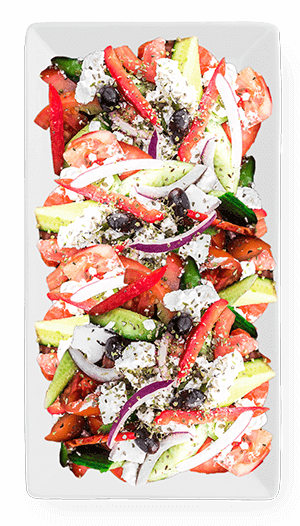 Tomato, cucumber, red capsicum, red onion, olives & feta, seasoned with oregano, tossed in leafy mixed greens. 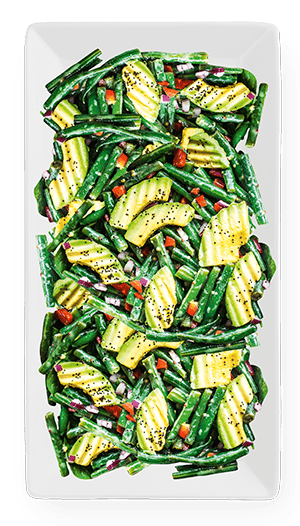 Green beans, avocado, red capsicum and red onion, tossed in a zesty dressing. 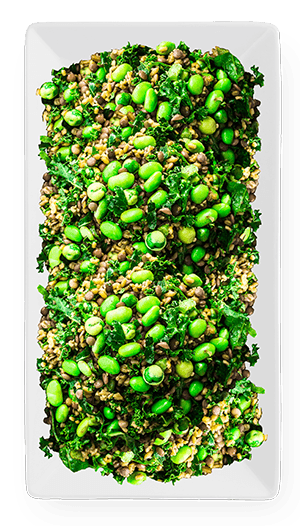 Green lentils, freekeh & kale topped with edamame, wasabi peas & matcha dressing. 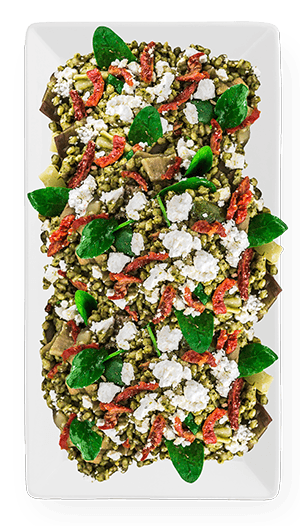 Barley, roasted eggplant, charred zucchini, baby spinach, artichoke hearts, sundried tomato & feta with pesto. 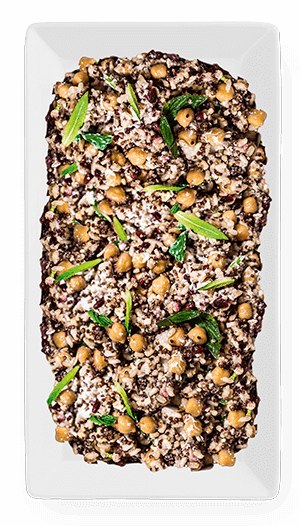 A blend of brown rice, quinoa and chickpeas, topped with pomegranate and herbs with tangy yogurt. 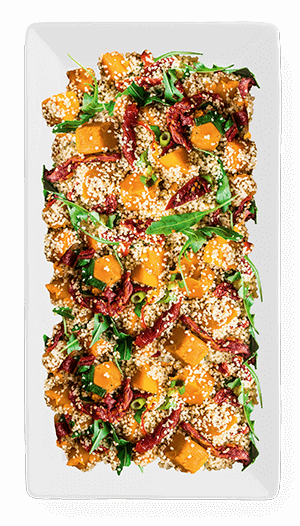 Pumpkin, couscous, roast capscium, sundried tomato & shallots, garnished with rocket. 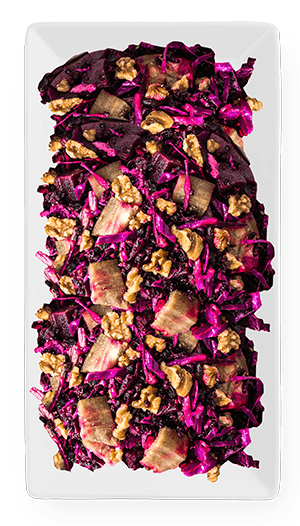 Purple cabbage, beetroot, roasted eggplant, black currants & black rice, topped with walnuts and pomegranate. 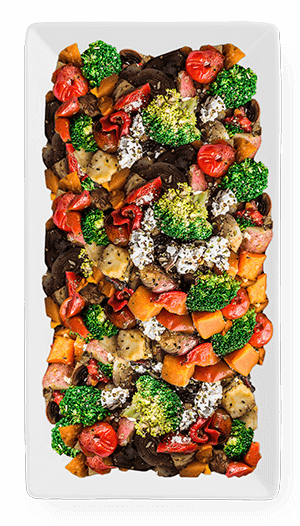 Combination of roast potato, carrot, sweet potato, chargrilled eggplant, mushroom, onion, capsicum & feta. 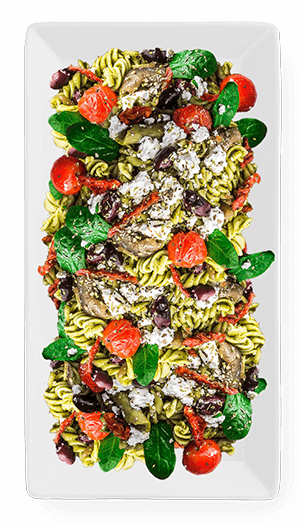 Cherry tomato, eggplant, zucchini, sundried tomato, capsicum, spinach, pesto and dijon vinaigrette, with pasta, olives & feta. When you open your own Soul Origin Store you can count on a number of special ingredients that have made us what we are today. The Soul Origin team works with you to establish your own Soul Origin store, and provides you every opportunity for success. "The Soul Origin team actually care about what I care about, my people, operations and the bottom line! I choose to support Soul Origin because they support me first." "Soul Origin is a business lead by a team who is incredibly passionate about what they do. I was encouraged and supported by the whole business. The brand takes on challenges and we all learn and grow every single day. The business model is strong and I am proud of the products we sell." 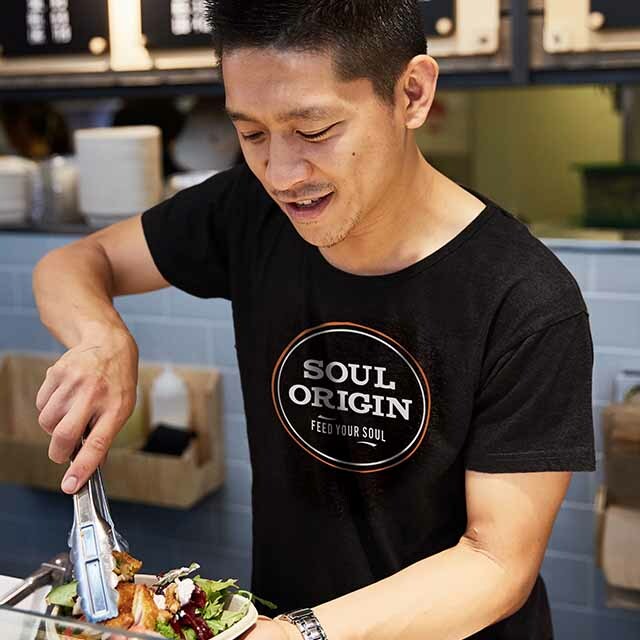 "I joined the Soul Origin family because I see an opportunity to change the way people think about Fast Food. I have received strong support from the entire business and I have seen first hand the strength of the business model. I am proud to be part of the Soul Origin family."